The slate is looking good this year for SBS. Save Our SBS presents a comprehensive overview of the year ahead. 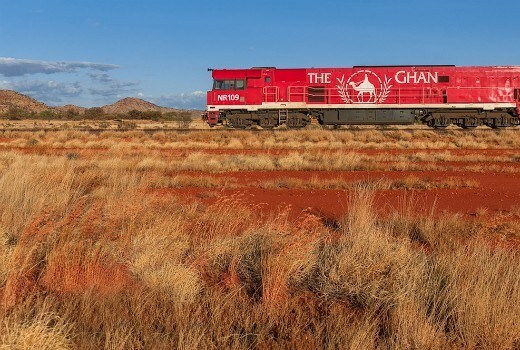 The Ghan is Australia’s first foray into the ‘slow TV’ movement – an immersive style of television, originating from Europe, which invites the viewer on a real time journey. This innovative program takes viewers aboard Australia’s most iconic passenger train trip from Adelaide to Darwin. Three hours, no commercials, no interruptions, just the tracks beneath and stunning scenery through the heart of Australia while exploring the foundations of modern multicultural Australia. Produced by Mint Pictures for SBS. The Ghan airs Sunday 7 January at 7:30 PM. Safe Harbour stars award winning actors Joel Jackson, Ewen Leslie and noted actress Phoebe Tonkin as part of a group of friends who set sail on a yacht, enjoying a sun and surf holiday from Darwin to Indonesia. They spot an overcrowded fishing boat filled with distressed asylum seekers on the horizon and after a heated discussion and vote, the Captain makes the call to tow the boat back to Australia. A violent storm forces them to change course back to Indonesia and they wake the next morning to find the asylum boat gone. 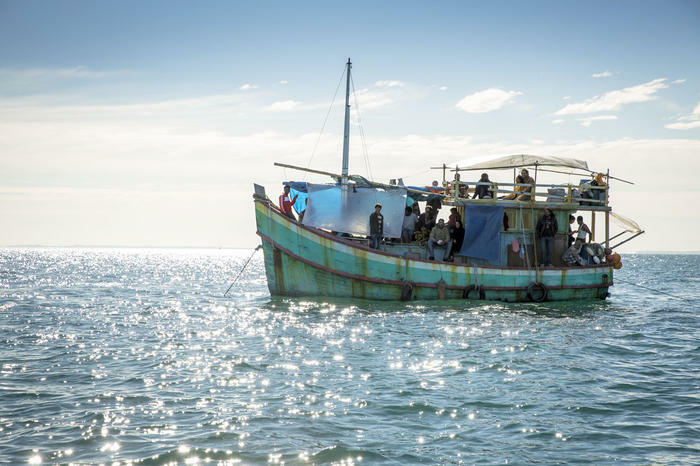 It’s not until five years later when one of the friends steps in a taxi driven by one of the refugees that they learn the truth – someone on the yacht cut the rope between the two boats, leaving the asylum seekers in the storm. Also starring Nicole Chamoun, Leeanna Walsman, Hazem Shammas, and Jacqueline McKenzie. Produced by Matchbox Pictures for SBS, with major production investment from Screen Australia in association with Screen Queensland. Safe Harbour airs in March on SBS. Dead Lucky stars internationally acclaimed actress Rachel Griffiths who plays Detective Sergeant Grace Gibbs, obsessed with catching the armed robber who murdered her junior officer. Her new trainee, Constable Charlie Fung (Yoson An), blames Grace for the death of his best friend. Meanwhile, a share house of international students think they have found paradise. A couple of greedy convenience store owners resort to deadly measures to defend their business. While on the outskirts of the city, a violent fugitive is hiding. Over one week, the paths of these characters collide, leaving two people dead and one missing. Produced by Subtext Pictures for SBS with major production investment from Screen Australia and in association with Create NSW. Look out for Dead Lucky this year on SBS. Benjamin Law’s coming-of-age series The Family Law returns for a third and final season, as the Asian Australian family navigate the world of adult romance and define what it means to become a man. Developed and produced by Matchbox Pictures with major production funding from Screen Australia in association Screen Queensland. The Family Law airs in 2018 on SBS. From the creative minds of Don Handfield and Richard Rayner, Knightfall chronicles the mysterious but true accounts of the Knights Templar, the elite warriors of the Crusades. It delves into the great secrets protected by the Templars and tells the story of faith, loyalty and brotherhood that help sustain these warriors on the battlefield, and the dark events that would forever sear the infamous date of Friday the 13th into the world’s psyche. 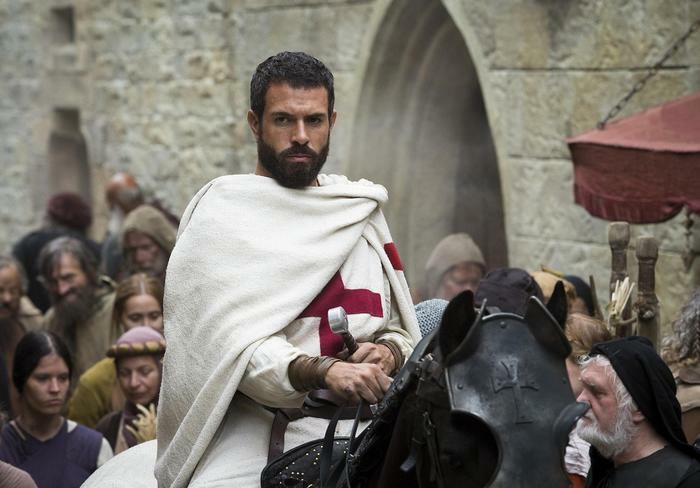 Knightfall can be seen in February on SBS. Mars is an epic and gripping new series that is destined to spark imaginations worldwide. Set in both the present day and future, the series tells the incredible story of the first manned mission to Mars in 2033, making life on the red planet an exciting and real prospect. Executive produced by Brian Grazer and Ron Howard. Mars airs in January on SBS. 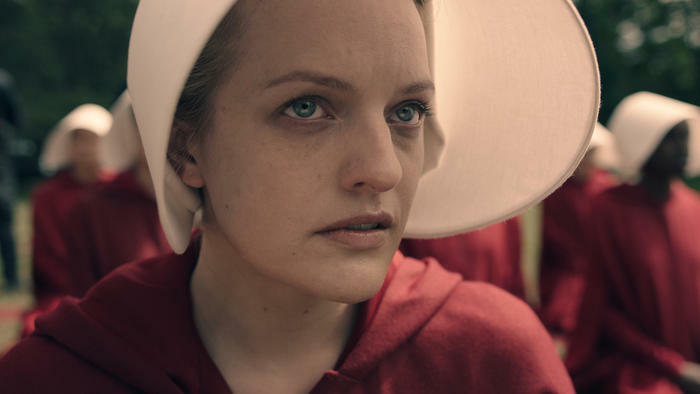 The Handmaid’s Tale Season 2 will be fast-tracked to SBS and SBS On Demand in 2018. Other programs returning are the critically acclaimed legal drama The Good Fight, the hugely popular Vikings, a new missing person’s case in The Missing, Nordic Noir crime-drama The Bridge, and the gruff Canadian detective returns to right past wrongs in Cardinal. Muslims Like Us airs in February on SBS. It is about ten Australian Muslims with contrasting world views who move into a house together for eight days. Their passionate debates, honest disagreements, humour and insights reveal what it’s like to be an Australian Muslim today. Produced by CJZ for SBS. Marry Me, Marry My Family airs in January on SBS. A third of all weddings in Australia involve a blend of different religions, traditions and cultures. This SBS original series follows diverse sets of couples as they try to bridge the gap between their cultures and balance their families’ expectations with their own dreams. Marry Me, Marry My Family is produced by CJZ with production funding from Screen Australia. Go Back Live planned for SBS later in the year is based on the most awarded Australian documentary series of all time Go Back to Where You Came From. Season four, named Go Back Live, will be one of the most ambitious live television events in Australian broadcasting history and will dig deeper into the asylum seeker and refugee debate with a sense of palpable urgency. Over three nights, SBS will use the latest technology to give a snapshot of the global refugee crisis by presenting stories from the front line, as they happen in real time. Produced by CJZ for SBS. In 2018, Filthy Rich and Homeless will return for a second series, this time set in a new city and will raise the bar higher by tackling the policies and potential solutions to a crisis that shows little sign of improving. FRH is produced by Blackfella Films with production funding from Screen Australia. Following on from Is Australia Racist, Is Australia Sexist will explore an issue dominating global headlines. This will be crucial viewing that will contribute to the national debate. Is Australia Sexist? is produced by Joined Up Films with production funding from Screen Australia and Screenwest. The Untold Australia series continues in 2018, highlighting the unheard multicultural stories from rural rabbis to Lebanese beauty pageants. The Untold Australia series is commissioned by SBS with production funding from Screen Australia, and includes Mirrabooka, produced by Periscope Pictures with major production funding from Screen Australia and Screenwest. Miss Lebanon, produced by IKANDY Films with major production funding from Screen Australia; RARA Rabbis, produced by Unicorn Films with major production funding from Screen Australia in association with Film Victoria; and The Cocos Question, produced by Chemical Media with major production funding from Screen Australia. Who Do You Think You Are? returns to reveal the fascinating pasts of Charlie Teo, Natalie Imbruglia, John Jarratt and Ernie Dingo to name a few. Produced by Warner Bros International Television Production Australia for SBS. Documentary special Vitamania will explore the science and history of the $100 billion a year supplements industry. Produced by Genepool. Origins: The Journey of Humankind on SBS this year is a time-travelling adventure series journeys back in time and delves deep across the entire sweep of human history, pinpointing pivotal moments and innovations that have fuelled our evolutionary ascension. Elizabeth is an new series that provides a definitive history of Britain’s longest serving monarch, Queen Elizabeth II. Home Planet Season is a slate of exciting documentaries including Man Made Planet, Space Volcanos and Engineering Space take us on an interstellar tour of the solar system, and Earth’s place in it. Users Guide to Cheating Death lets us know which products, diets and regiments can make you live longer. Simon Reeve in Russia sees the British adventurer journey to Russia and explores what the country is like, 100 years after its historical revolution. Michael Portillo returns to discover the world’s sights and stories, one stop at a time in a new season of Great Railway Journeys. Sydney Gay and Lesbian Mardi Gras airs in March on SBS. This year marks the 40th anniversary of the Sydney Gay and Lesbian Mardi Gras. SBS will celebrate this important global milestone by supercharging its coverage to reflect 40 years of protest and parties, in a colourful, action packed show broadcast from the glitter filled streets of Sydney into lounge rooms across Australia. Produced by Blink TV for SBS. Eurovision in May will come from Portugal! Following the success of three top 10 finishes, Australia will take the stage in the 2018 Eurovision Song Contest for a fourth time. SBS will once again bring the nation full coverage of the world’s biggest song competition, with exclusive backstage and behind the scene access from returning hosts Myf Warhurst and Joel Creasey. Produced by Blink TV for SBS. Destination Flavour China on SBS with Adam Liaw takes us on a journey of discovery and introduces us to the ancient and breathtakingly diverse culinary traditions of China. Travelling by train, Adam sees a side of China rarely revealed to outsiders. From the fiery cuisine and snow-dusted mountaintops in Sichuan, to Hainan Island’s tropical flavours and palm-lined beaches, Adam bears witness to the rapid change that’s shaking up the food culture of China. SBS Production. Shane Delia’s Recipe for Life airs this month on SBS. Follow the busy life of celebrity chef and family man, Shane Delia, as he oversees his acclaimed restaurant Maha, beds down his fledgling high-end kebab chain Biggie Smalls, and launches a new food truck, all while catering for some of Melbourne’s most high-profile events. Shane continues his role as ambassador for the Sons of the West men’s health program and is keen to take his passion for nutrition into schools – all while raising two kids in a healthy and loving environment with the love of his life, wife Maha. Produced by Essential Media for SBS. Food Safari Water may be seen this year on SBS. Maeve O’Meara is making waves in 2018 with Food Safari Water, a glorious exploration of seafood across the many cuisines and cultures of the world on our doorstep. From ancient Greece, Egypt and medieval days to modern times, seafood from salt and fresh water is increasingly sought out for taste and health reasons. SBS will introduce some of Australia’s top chefs who have become masters of getting the most out of seafood – whether raw or cooked – plus some home cooks from across many cuisines. Produced by Kismet Productions for SBS. Peter Kuruvita, Sarah Todd and Luke Nguyen will all return to SBS in 2018. Having recently explored the fresh local produce surrounding his home in Noosa, chef and restaurateur Peter Kuruvita decides it’s time to discover some of Western Australia’s most loved food destinations in season two of Peter Kuruvita’s Coastal Kitchen, produced by The Precinct. Model, mother and master chef Sarah Todd returns to India for season 2 of My Restaurant in India, produced by h.squared, this time, setting up shop in the magnetic mega-city of Mumbai. In Luke Nguyen’s Food Trail, produced by Creative Media, we learn how a young refugee became one of Australia’s most successful chefs and restaurateurs. Born in Vietnam, raised in Cabramatta and now living between Saigon, Sydney and Hong Kong, Luke takes us on a culinary tour of his home towns. FIFA World Cup airs in June. In a true celebration of multiculturalism and unity, SBS remains the home of football with Lucy Zelic and Craig Foster covering all the action from the ground in Russia. SBS will offer 25 premium games live, free and in HD, including semifinals and finals, and all Socceroos matches. Live coverage of the Premier League continues in 2018 with one live match each week across SBS and SBS HD, along with weekly highlights on The World Game, Mondays at 11pm. SBS has been the proud broadcast partner of the UEFA Champions League since its inception in 1992, and in 2018 will continue to show one live match on Wednesdays, followed by a weekly highlights show on Thursday nights that covers all the matches from every round. SBS continues to bring Australians all the action from the biggest races on the international cycling calendar. The Tour de France returns with all stages live on TV and online, as well as grand tour La Vuelta a España, cycling classic Paris-Roubaix and others from the European season. SBS adds a second tennis Grand Slam to its slate of premium international sport, securing the exclusive free-to-air rights to the French Open for the first time. Live from Stade Roland-Garros in Paris, France, SBS will follow the action every day throughout the 2018 tournament, beginning in late May, as the world’s best male and female tennis players battle it out on clay courts. From the Quarter Finals stage through to the men’s and women’s Final, SBS will air the most thrilling tennis matches of the 2018 US Open. Played on hard courts in Queens, New York, the US Open is the final of the four annual tennis Grand Slams, wrapping up the year for the major tournaments. SBS’s NBL live coverage of Australia’s refreshed and booming domestic basketball league continues this year. SBS broadcasts two live games from each round in HD, with live streaming and catch up on SBS On Demand. Where Are You Really From? is on SBS this year. Hosted by The Feed’s Michael Hing in his unique comedic style, Where Are You Really From? uncovers the diverse multicultural communities living in regional Australia. SBS’s flagship news programs, SBS World News, Insight and Dateline return in 2018, exploring a gamut of current and often unheard issues that affect the world we live in.